A woman who allegedly stole a dog from a Landover home stabbed the dog owner in the back with a kitchen knife after he attempted to retrieve his pet. According to Prince George's County Police, the incident unraveled Monday when James Hodge, Jr. let his poodle, "Rocky," outside for a few minutes. When he came back to get Rocky, a neighbor told him she saw a woman take the pup away. 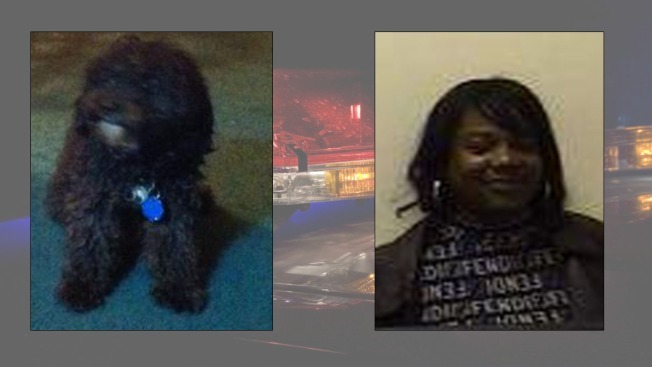 Hodge had suspected 42-year-old Angelia Griffin may have taken the dog, so he stopped by her home. Griffin assured Hodge she wasn't the perpetrator, even inviting him inside to look for the dog. Just then, her young son exclaimed there was in fact a dog inside the home, and Rocky came prancing back to Hodge. When Hodge kneeled down to pick Rocky up, Griffin grabbed a kitchen knife and stabbed him in the back. "The dog didn't like her, that's all I know," Hodge said. Hodge was treated on scene for his injuries and released. "I'm just glad to have my dog back," he said. Griffin is facing charges of first and second degree assault, as well as a theft charge.